Why I like excessive realness in our dynamic digital world. Most of the time I like things that make life easier. Simpler. More organised. More efficient. Tram tracker, VISA pay wave, Evernote, elastic laces. All nice little creations that make it that much easier to get things done. But sometimes the best part about things are when you have to work for them. When you actually enjoy the process and don’t necessarily want it to pass by any quicker or be any less memorable. I like peddling my bike and would never get one of those ones with the lawnmower motor. I like grinding my pepper and slicing my bread and the electronic version of both those items will never find a home in my kitchen. I like real herbs and spices and not the kind that come in a handy bottle and last way too long. I love loose leaf tea made in a pot and real coffee ground and brewed. Even though all their efficient new age cousins would save time and energy – I don’t want them. The time that goes into riding my bike, cutting my bread, grinding my pepper and making my tea is time I enjoy. I like being efficient and fitting lots in. But I don’t want all those everyday moments to go past so effortlessly and efficiently that they happen without me remembering them. Tired legs, wonky bread slices and tea leaves in my cup make me feel alive. I live the rest of my life online, in a space that is evolving at such a rapid pace that I need the apps and tools in an attempt to keep up with it. I love the excitement of digital and the real time information flow and the ease of connection with social media. But sometimes so much happens. So fast. So easily. Maybe this is why I like the excessive realness of my everyday moments. They are nice little reminders that there is beauty in doing things slowly. That I can balance my life embedded in our evolving digital world by keeping the other parts driven by my own human effort. That not everything is dynamic and exciting but that some things stay the same. It’s kind of a relief. I love dreams and people who aren’t afraid to share them. To divulge your deepest hopes and desires takes guts. When you open up your dreams to others you are also encouraging the extent to which you have accomplished those dreams to be put on a realistic scale. It shifts your dreams from up in the hazy, day dreaming space in your head to the action orientated reality. It forces you to think about who you wanted to be and who you actually are. To honestly ask yourself if what you are doing and where you are is what you want to be doing and where you want to be. This can be scary. No-one wants to realise that they are heading in a direction they didn’t want to go, doing something they don’t like and living somewhere they hate with someone they don’t love. But this is why the intersection between dreams and reality is important. Scary yes. But totally worth it. Some people like to call them reality checks, but I think dream checks is better. Not prioritising that you are being realistic but prioritising that you are living your dreams. Dreams are realised, they change, they evolve, they adapt. So thanks to the inspiration from Kyle, Richenda and Rachel – who all wrote about their dreams, today I am having a dream check. Sunrise cartwheels on the beach in Thailand. When I was about 10 I decided I was going to be the sports physiotherapist for the Australian Olympic team. I would work once every four years when the Olympics was on, I would get to travel the world, and in between I would have a family and be a writer. Easy. I had the best plan. I would be perfect for this life. My whole child hood I was either playing sport or reading books, writing poems and talking. My school reports alway said I was good at spelling and sport but talked too much and was a little bossy. However, when I was in my last years of senior school and started doing work experience, physiotherapy all of a sudden stopped appealing. It seemed too much of a distinct, definite and decided career path for me. Instead I began coaching kids in all types of sports and did a science degree and a commerce degree. I travelled lots. Read lots. Exercised lots. Talked lots. Although I never became the physiotherapist for the Olympic team (note that I wanted to be THE physio not just one of…) I do feel content with achieving the reason behind that. I wanted to understand the human body and be surrounded by inspiring people who are driven and challenge themselves. I wanted to encourage people to live happy, healthy and active lives. And I wanted to travel. Over the past decade I have coached, encouraged and motivated children and adults to row, ski, run, play netball, do aerobics, attend spin classes and just do stuff. I have also travelled all over the world, met my perfect man and through a degree in human physiology and neuroscience, I get some of what makes the amazing human body tick. 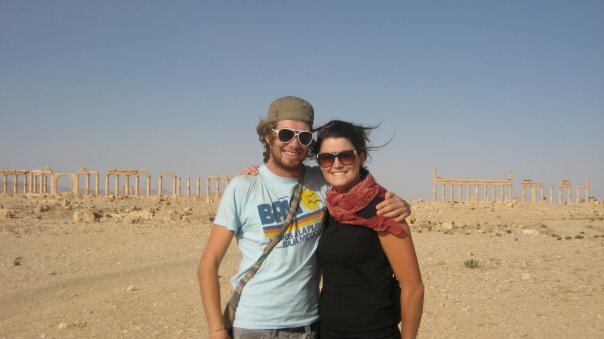 Me and my perfect match at amazing Palmyra in Syria in 2008. Along the way I also realised that not everyone has the opportunity to live a happy, healthy life. So this was my next dream. I wanted to help make the world a better place. I started a masters in international development and spent the next few years managing everything digital and social at Save the Children Australia. I wanted more children to know the feeling of being happy and healthy. To grow up running around outdoors, eating nutritious food and having a family that encourages and supports you to live your dreams. It sounds corny, but I wanted to be part of changing the world. And I was. And I still am. After a few years in the non-profit sector I realised you do not need to work for a development organisation to change the world, and that perhaps it was not the most effective and efficient avenue for me. That my skills, knowledge and passion could have more impact elsewhere. Today technology is the catalyst for change. So now I am connecting and empowering people in companies, governments, universities and non-profit organisations with Yammer. We are enabling people to do their job better. They can find information faster, work more efficiently, share knowledge easily and collaborate effortlessly so the bigger problems are solved. 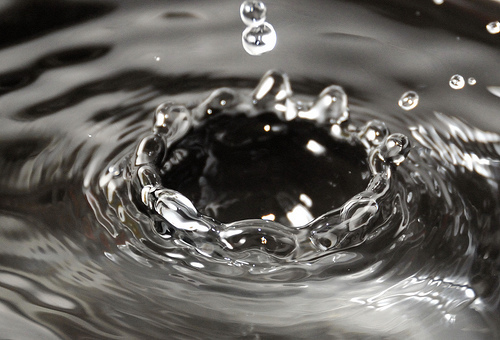 Yammer is changing the way organisations work. And that is changing the world. It’s exciting. I don’t feel like I am done with this dream just yet so I am going to keep on chasing it. I want to be part of technology making the world a better place, by connecting and empowering people. While I do that I am going to write and run and encourage others to do the same. Sounds good for now. But you never know, tomorrow I might wake up with a new one. I love dreams. Have you had a dream check recently? Last night I went and saw Dallas Green of City and Colour at the Palais in Melbourne. I was inspired by his voice and the venue, but today I have been thinking about his words. He asked everyone to put their phones away. To disconnect from everything else happening simultaneously around the world. To forget about twitter updates, instagram filters and Facebook. To stop trying to remember the moment so hard that you forget to live it. People listened. The light of the iPhone screens went dark and we were all in the moment. It was beautiful. I felt the music. I absorbed the changing tones in his voice. I watched his fingers glide over the guitar. I heard the lady in front of me crack her neck. And I saw the moths flapping in the lights above the stage. I was 100% in the physical moment. My senses were sharp and it felt great. I don’t have one photo of Dallas rocking on stage. And I am actually ok with that. I remember the night just as it was. Not with a filter or a hashtag. Anyway if I do forget, I am only a google away from everyone else’s recollection of the evening. I am going to try this more often. Disconnect myself from online so I am 100% connected to the physical moment. It’s kind of exhilarating.